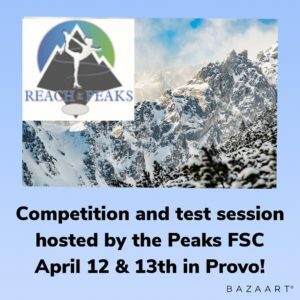 Registration is now open for the Reach for the Peaks, Compete USA competition and test session, April 12 & 13, 2019 hosted by the Peaks Figure Skating Club at Peaks Ice Arena in Provo Utah. This entry was posted in Announcements on March 5, 2019 by Erika Roberts. We are so very proud of all our member clubs and their talented athletes and coaches! 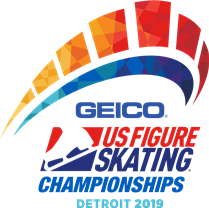 Congratulations on wonderful performances at the 2019 US National Championships in Detroit this past week. A huge shout out to their amazing and dedicated teams of coaches for excellent technical, physical, mental and emotional support! Congratulations as well to Utah based skater, Hannah Herrera on her 6th place finish in Intermediate ladies. This entry was posted in Announcements on February 3, 2019 by Erika Roberts. Good luck to our amazing Intermountain Interclub athletes and their awesome coaches as they head to Detroit this week for the U.S. Figure Skating National Championships! We are very proud of you! Sending get well wishes to Salt Lake FS’s Angela Wang for a speedy recovery! This entry was posted in Announcements on January 15, 2019 by Erika Roberts. 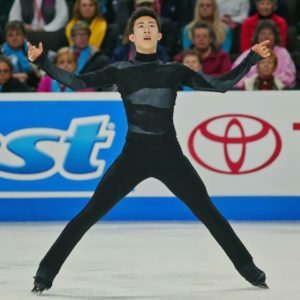 The Peaks Figure Skating Club is excited to host Gary Irving and his International Competitive Edges Clinic at the Peaks Ice Arena on January 21st. Come skate with Gary Irving and Roland Burghart while you have the day off from school and learn how to be a power machine. There are two groups for the clinic (8 am to 12 pm and 12:30 pm to 4:30 pm) and each are 4 hours long for $100. Private lessons are available before and after the clinic, as well as, Tuesday morning at the Peaks Ice Arena. If you have any questions or would like to sign up for a private lesson please email Stephanie Siswick at stephaniesiswick@gmail.com. This entry was posted in Announcements on January 11, 2019 by Erika Roberts. 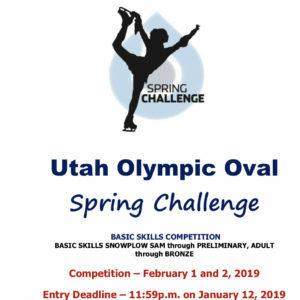 The Oval Figure Skating Club is pleased to announce the 2019 Oval Spring Challenge Competition held at the Utah Olympic Oval on Friday February 1 and Saturday, February 2. 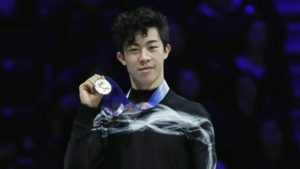 The competition is open to all skaters who are current members of U.S. Figure Skating up to Preliminary/Adult Bronze. The competition will include free skate, compulsory events, jumps, showcase light and dramatic and beginning synchro events. This entry was posted in Announcements on December 18, 2018 by Erika Roberts. Congratulations to our IIA athletes and coaches who competed at Pacific Coast Sectionals! 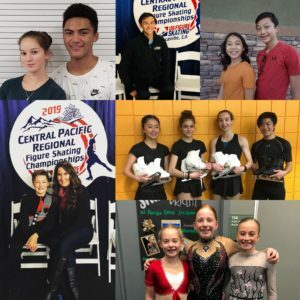 Congratulations to all of our talented athletes and dedicated coaches on amazing performances at Pacific Coast Sectionals last weekend. We are so proud of our Intermountain Interclub members! Best of luck to those athletes who qualified for U.S. Nationals in Detroit! This entry was posted in Announcements on December 4, 2018 by Erika Roberts. Save the date for the 2019 Intermountain Classic in Park City! 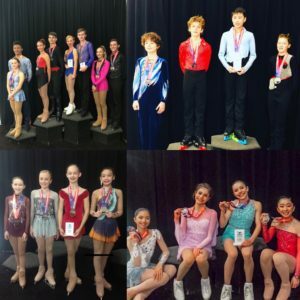 The 2019 Intermountain Figure Skating Championships will be hosted by the Figure Skating Club of Park City at Park City Ice Arena March 7-10, 2019. 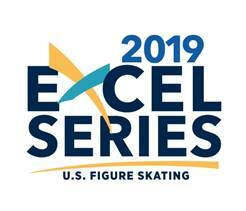 This competition is a part of the new USFS Excel Series. There will also be a test session held on Thursday, March 7th. 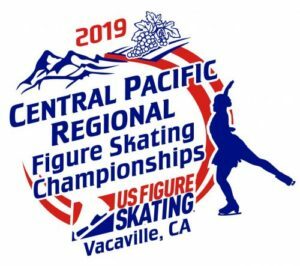 Good luck to our Intermountain Interclub athletes and coaches at the 2019 Pacific Coast Sectional Championships next week! This entry was posted in Announcements on November 8, 2018 by Erika Roberts. 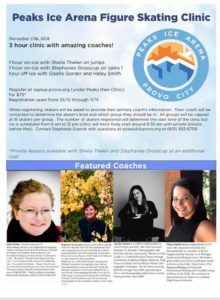 The Peaks Ice Arena is excited to host a clinic on November 17th with four amazing coaches featured. The clinic will be three hours long (two hours on-ice and one hour off-ice) and cost $75. There is an option to add private lessons for an additional cost. The on-ice portion will consist of an hour with Sheila Thelen on jumps using the harness, an hour with Stephanee Grosscup on spins, and an hour off-ice with Giselle Gorder and Haley Smith on strength and conditioning/HIGH fitness. The groups for the clinic will be split by level (determined by primary coach) and have a cap of 15 skaters per group to keep the group size down and make sure everyone is able to learn. Coaches are welcome to come and observe with their skater at no additional cost. Please see the attached flyer for information on how to register and to see the bios of all the great coaches we have coming into town for this special clinic. This entry was posted in Announcements on November 7, 2018 by Erika Roberts. Congratulations to our Intermountain Interclub athletes and coaches on awesome performances at Regionals! This entry was posted in Announcements on October 21, 2018 by Erika Roberts.